The Jewish National Fund has asked me to give a presentation featuring my trek through Israel. There is no charge but space is limited. It is RSVP so if you are interested in attending, please let me know by phone, text or email (613 812-1084 or arlenedoyle@ymail.com) and I will reserve you seats. I would love to see you there! 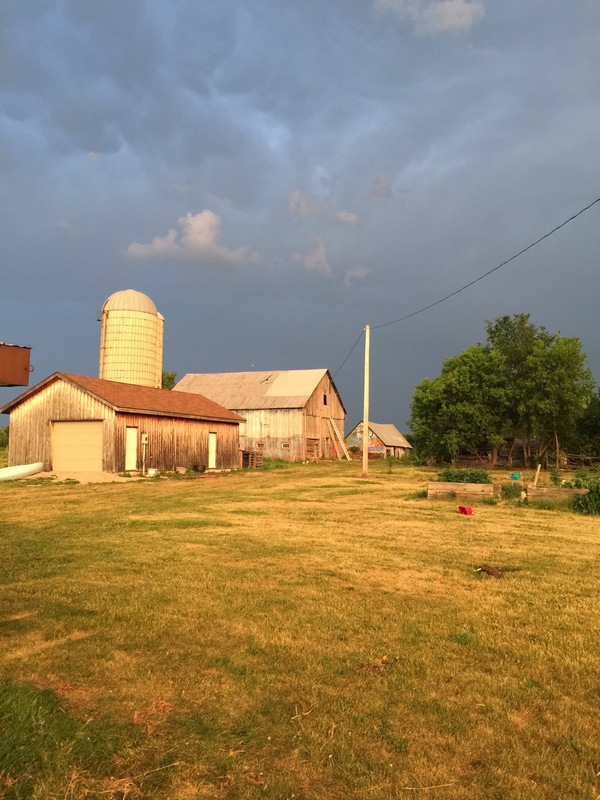 I have been busy on the farm doing farm things: building gates, planting Apple trees, fixing a section of my deer fence that came down in the winter. 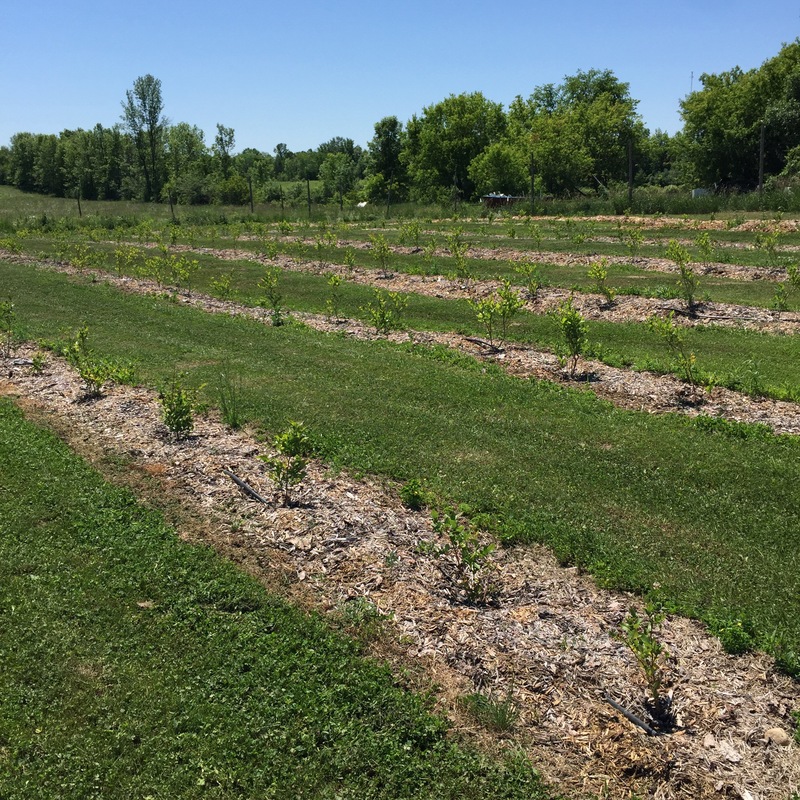 This year’s lack of rain made installing the irrigation system a top priority. I pruned off the winter kill from the blueberry plants and spread 500 more pounds of sulphur to maintain a low soil ph. Mowing the grass and weeding the rows is ongoing. And weird as it sounds, getting years of compacted hay and goat poop cleaned out of the barn and clearing away junk piles has been a real thrill. My son’s friends say, I’m a little out there. I guess they’re right. But I hope they mean it in a good way. I must have been on crack to consider ordering more plants this year. I’m so glad that I didn’t. I am loving getting organized and trying to prettify the place without being in the pressure cooker of last year. 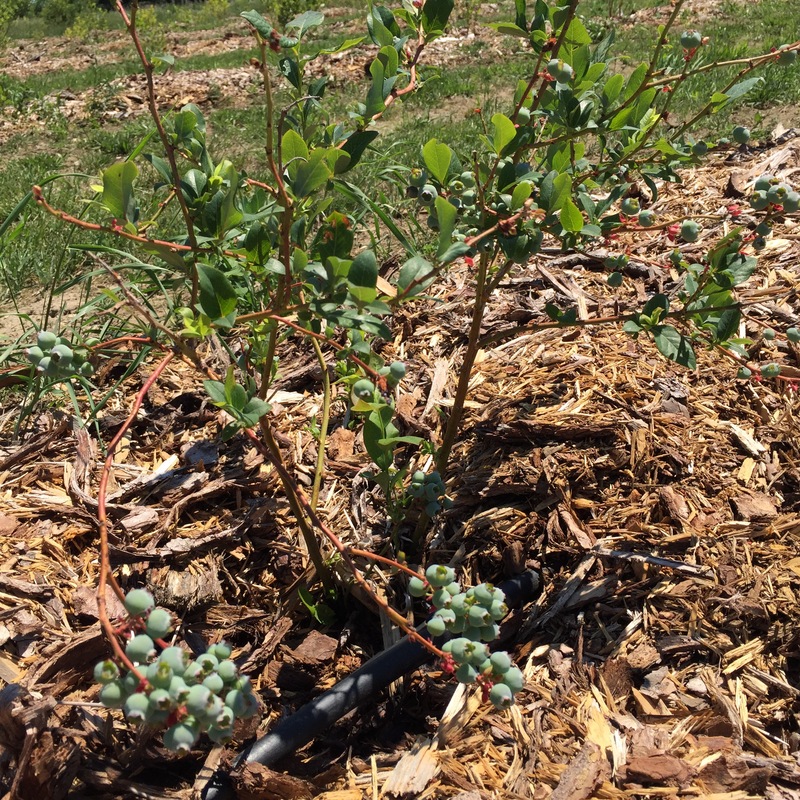 My blueberries are healthy and life is good but I think I’ll let “The Merry Blueberry” get a tiny bit established first, and maybe even generate a buck or two before expanding. At the end of the day, showering definitely no longer feels redundant.